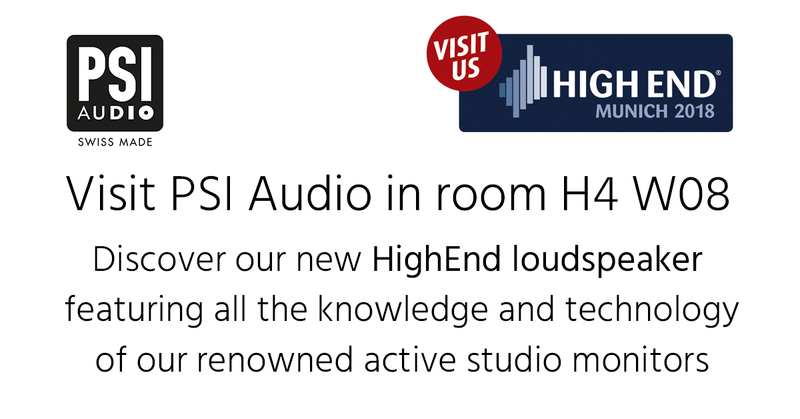 Visit PSI Audio during High End in Munich which takes place from 10th – 13th May in Munich. 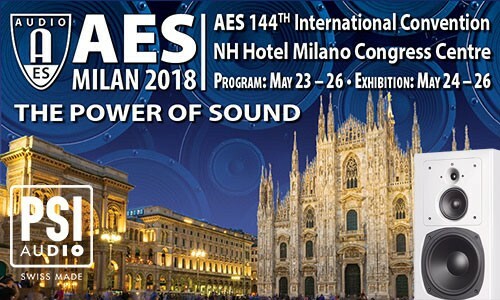 After the success of the introduction of our HighEnd speaker at Axpona in the USA, it will be presented as a european exclusivity at the High End. In 1977, Alain Roux, the founder of PSI Audio developed our first “Hi-Fi” passive loudspeaker under the brand “PSI” with already a different signature than traditional speakers. 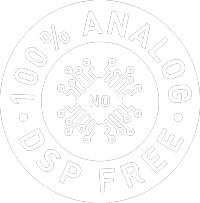 Over the next 10 years, no more than ten different 2 and 3 way passive models were released before starting a new range of active loudspeakers that were released under the Studer brand. At this time, analog phase compensation and adaptive output impedance were introduced and that was the beginning of our precision range of studio monitors dedicated to the most demanding sound engineers. When Studer was acquired, we launched our own brand “PSI Audio” featuring the same analog technology that has been improved year by year to bring to sound engineers the ultimate master grade studio monitors that you may know. Now you can find all this state of the art analog technology in our new Audiophile Active Loudspeaker: accurate, perfect stereo image and balanced, phase compensated and more. Come to our room and listen with your own ears. Our longtime partner, Weiss, will also present in the same room our common project, the Livebox, a transaural loudspeaker featuring crosstalk cancellation. Also visit Merging Technologies (Stand H3 J08/K11) who will demonstrate their Audiophile line (Merging+PLAYER, Merging+NADAC and Merging+POWER) with a special edition of our prototype, the Merging+SPEAKERS all in a matt black finish.